Whether it's your first time purchasing window treatments or you're an interior decorator, our 30+ years of experience will guide you to the perfect solution for your home or business projects. Our cutting-edge technology and know-how will provide you with the best room ambiance, light control and privacy at any time of the day with our motorized window coverings. Did you know you can reduce heat loss through your windows by 40% or more and reduce unwanted solar heat by up to 80% with our stylish energy efficient window coverings? For the perfect movie theater experience at home or those extra couple minutes of quality sleep, we'll help you with the ultimate way to block out the light. Accent On Windows services Greater Portland & Casco Bay, Coastal Areas, the Mid- Coast, as well as the Lake and Mountain regions of Maine. We are a full-service provider of both residential and commercial products. Whether you are decorating a bedroom or a conference room, we provide exceptional one-on-one personal attention and guidance from your early design ideas through our expert/professional installation. We create no single look. Together we explore your options, and we get stunning results! Our goal is to design amazing window treatments with your style and within your budget. Explore color, texture, function and style. Our showroom features working window displays and 1000's of fabrics to peruse. Shutters and insulating shades help keep interiors warmer in winter and cooler in the summer months. Ask us how we can help lower your utility costs. Compare styles, price-points and products to ensure appropriate choices. We'll even schedule a time to come professionally measure your space and finalize selections, so we can give you an accurate quote. your home’s splendor & your style. Really great service and really nice folks. They were really easy going and came to my house for a measurement. They made everything a really simple process. My kitchen has never looked better after I splurged on some Hunter Douglas. I liked working with Accent on Windows. I had used this service for my last house and was quite satisfied with the results. After I moved into a new condo I knew I wanted to use Accent on Windows again. Gail was very helpful in pointing out what would work in the bedroom. She came to the condo with more swatches to decide on a better color. The blinds came in early and were installed quickly by Jeff. No fuss no muss. I will be adding more blinds in the future to other windows and I will go straight to Accent on Windows. 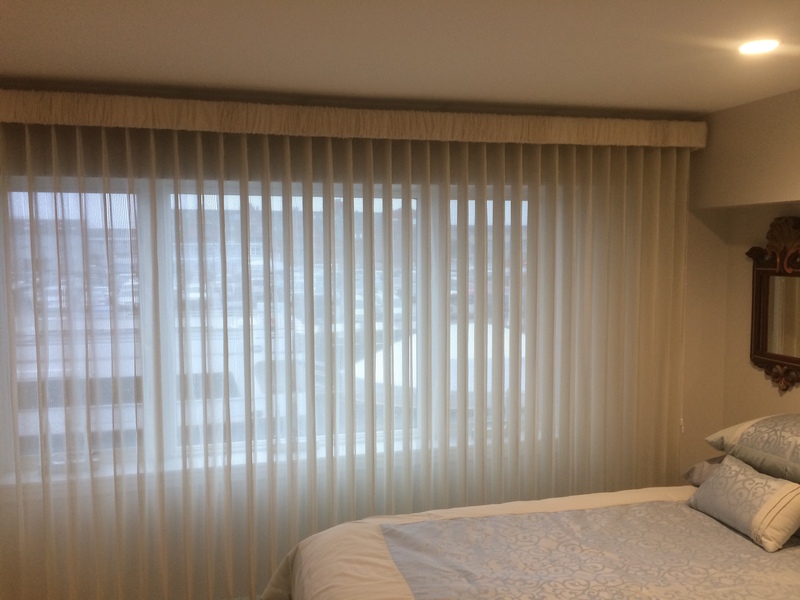 Gail and Jeff made several visits to our new condo to make recommendations for the best window treatments. Gail outlined all the options and their different price points. For one area that contained 4 adjacent windows she recommended a single large shade which was more expensive than getting 4 separate shades. I was dubious but it turned out she was 100% right and the shade looks fantastic. As several of our shades were very large and hard to maneuver, Jeff returned after the initial installation with extra clips to make it easier to move the shades up and down. Overall they offer excell ... read moreent service and have great taste too. I have dealt with Accent on window on several occasions, each time being a great experience. They have done a good job, in the expected time frame, and a resonable rate. Paul is great to work with-he knows his stuff. Overall a positive experience. I highly recommend them. I'm so pleased with our new curtains (AKA window treatments). They exceeded our expectations. I can only assume that your guidance was key in the process. I also want to thank you for exceptional customer service. There were some challenges, but you evoked our trust that 'all would end well. Accent on Windows did a great job installing my shades. They were dependable, easy to work with, and professional. I highly recommend them. It was a challenging job and they were meticulous and thoughtful about what they recommended. Installation done very professionally. We are now using them for all other window coverings in the house. They are certainly way more expensive than do-it-yourself- through Home Depot etc., but their expertise and attention to detail is worth it. Great people - very professional and capable - highly recommended! 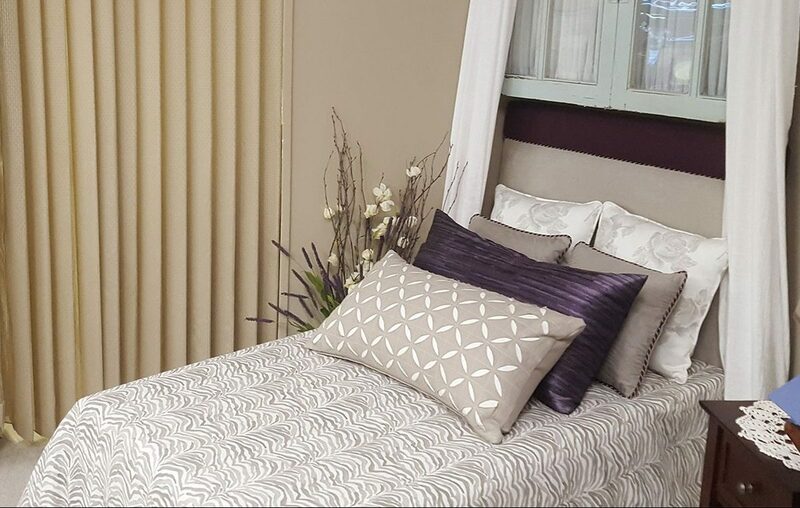 We offer Eastern Accent’s full line of Niche Luxury Bedding, including fine linens, draperies, and throw pillows. All products are crafted in the USA by artisans who love textiles and design.